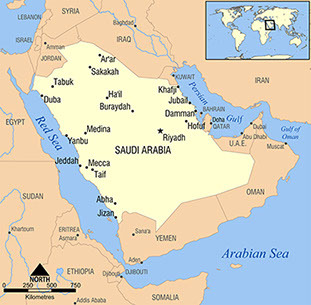 Pre-Islamic Arabia came into existence after continued conflict weakened both the Byzantine and Persian Empires. 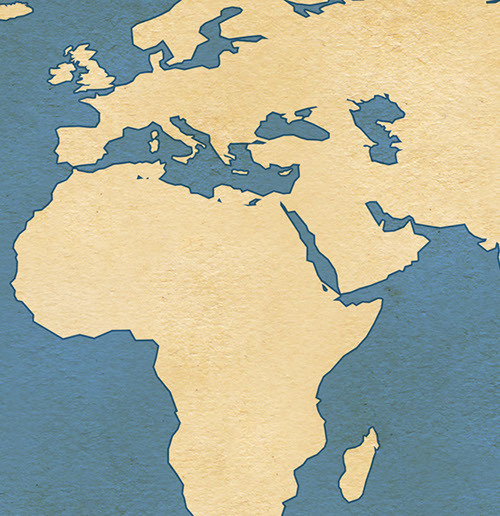 Located along the international trade route connecting Asia and Europe, trade flourished, as did agriculture in the soil-rich areas of the Arab peninsula. Yet problems existed that threatened the Arab civilization, a successful urban and economic life led to a decline in past values. Though a common language unified the people of the area, religious differences from kingdom to kingdom, tribe to tribe, led to disagreements and violence. Islam starts with the Prophet Muhammad (ca. 570 – 632 CE), who claims that God’s word was presented to him through revelations from God’s messenger, the angel Gabriel. The Qur’an, based on these revelations, warns the people to stop worshiping false gods and to only recognize one God, to practice social justice and to stop immorality toward others, including the poor and women, and that actions on earth will be judged to determine afterlife. Islam means “submission” and that is what was asked of the people, to submit to God’s will, to serve God. 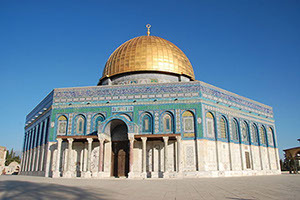 Islam experienced a brief crisis after the death of Muhammad, until after some internal conflict, a caliph, or successor to Muhammad was established. This helped develop an umma, or Islamic community, that was linked by not only a single leader but by a way of life, a religion. The decades following Muhammad’s death coincide with Islamic conquest and expansion. Arab armies fought and conquered lands from Egypt, the Fertile Crescent, and Iran, including territory that once belonged to the great Byzantine and Sassanid Empires. 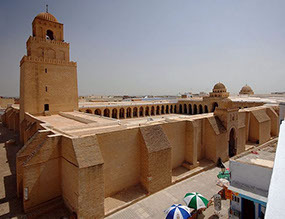 Expansion of the Islamic Civilization will continue into North Africa and Southern Europe in the late 600s and into the 700s. Islamic expansion was successful because of the weakness of the militaries and economies of the Byzantine and Persian Empires as well as the willingness of many people to convert to Islam.